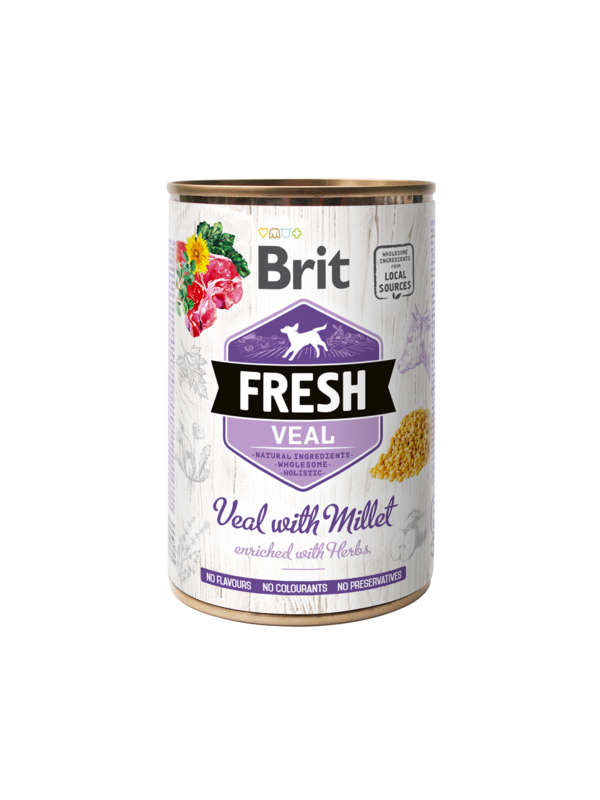 Brit Fresh provides delicately balanced nutrition with meat, organs, vegetables, fruits, and herbs from local sources. Made using fresh meat carefully processed to lock in the natural juices and nutrients for a product with exceptionally meaty flavour. Complete food for dogs. Serve at room temperature. The daily amount may vary depending on activity levels and surroundings. Ensure your dog always has plenty of fresh drinking water. Store in a cool and dry place. Refrigerate after opening.